It may not have escaped your notice but things have been pretty lapse around here since the weekend. The truth is we had way to much fun at the old Northamptonshire airfield and now we're suffering for our sins. Anyone who's caught F1 Minute will have already noticed Christine is anything but well at the moment (and believe me I tried to help, but I'm talentless when it comes to reading aloud) and that sort of makes recording long podcasts difficult. Right about now we should be getting ready for the start of the Goodwood FoS that gets underway tomorrow morning, but we're not. I'm about to watch ITV's British GP coverage (a bit behind then) and I'm not letting Christine out in the rain until she's feeling better. We both have tomorrow off, so the revised plan is to record the audio show about last weekend during the day and then take some time out before tackling the hill climb on Saturday and Sunday. If you were planning to meet us on Friday, I can only apologise. To keep things ticking over, here are a few of my favourite snaps from last weekend. Some are already up on Flickr, the rest will follow shortly. If it's nice weather, Club corner is by far the best place to watch the cars out of the circuit and during Friday FP2 the weather was lovely. 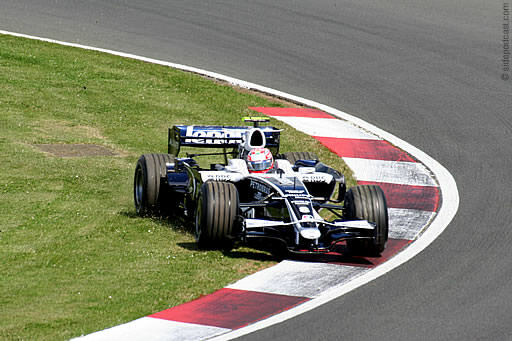 Unfortunately a number of drivers were finding the conditions tricky, not least Kazuki who spent some considerable time on the grass, before going on to lose his nose just beyond the Abbey chicane. 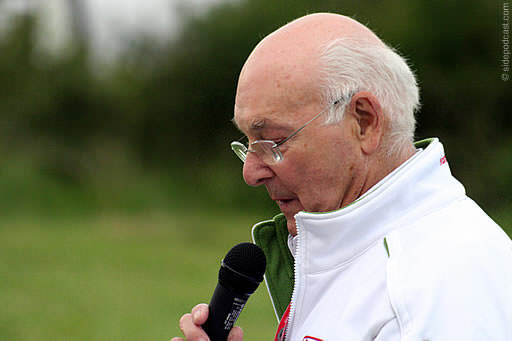 Muzza was hosting Honda's annual pub quiz this year, and honestly I can't think of a better man for the job. It was the perfect weather for a garden party too. Sunday brought some awful weather and everybody was looking for cover. 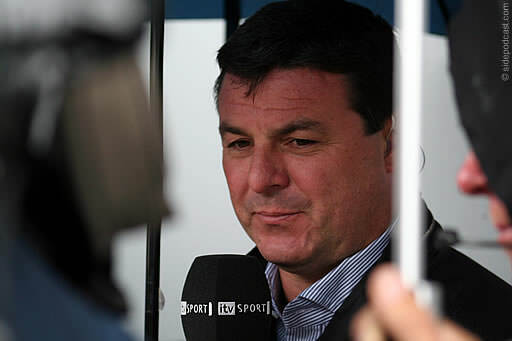 We found Steve Ryder and Mark Blundell cowering in the doorway of the Toro Rosso motorhome filming some pieces to camera. Mark has his eye on a TV monitor held by a member of the crew. 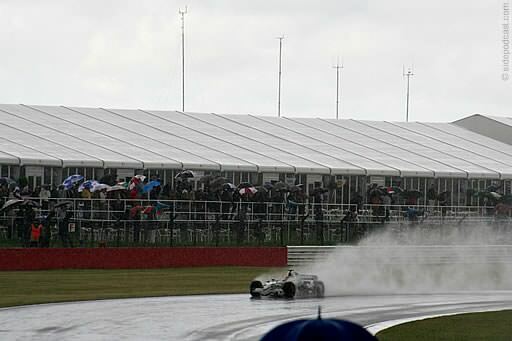 Rain during the race offered the chance to catch some unique shots of F1 cars. Robert is on completely the wrong part of the race track here, and is about to go bouncing unceremoniously across the grass at Maggotts. F1 Debrief - Do I really sound like Fisichella?